Forgiving… And The Ability To Let It Go. There is no need to sugarcoat this. The word forgiveness is something that brings up a lot of emotion for me, as it does the same for many I have spoken with about the subject. To forgive someone can be hard, as well as asking someone we hurt to give us forgiveness. In thinking about this lately, I ask why is it so hard to give and grant forgiveness? So let’s break this down: Ego, Insecurity and Fear. Why is it so hard to ask to be forgiven? Or, in other words, offer an apology. The first stop would be to identify what’s getting in the way. Ego… feeling that you don’t need to apologize, or are better than the situation. Insecurity… are you insecure about the situation?… Afraid to open up or be viewed as vulnerable/in the wrong? Or, fear, do you think that the issue is so severe that apologizing wouldn’t do any good and isn’t worth the shot? I can tell you that I’ve at one point or another felt all of these ways in my life, and I’ll give you the advice that I eventually made my way to: Get Over Yourself. When you identify what it is exactly that’s getting in the way, the answer should never be something that involves YOU and your insecurities, drawbacks, worries, etc. When you care about a person or situation, your intent needs to be around making things right, regardless of how you’re perceived or viewed by others and how hard you need to swallow your pride. Bringing me to 2. Why is it hard for us to forgive those who have hurt us? Well, this breaks into an A & B category: Has the person apologized and you’re unwilling to accept the apology and forgive them, or have they not extended an apology and you’re holding resentment because of it? A. We all have needed forgiveness in our life. Accept apologies and allow yourself and the other person to move forward. Forgiving breaks the chains of anger and resentment, even when it’s not easy. B. The HARDEST time to forgive someone is when they’ve hurt you (no matter how severely), but are unwilling to apologize, or do not recognize that they need to be forgiven. 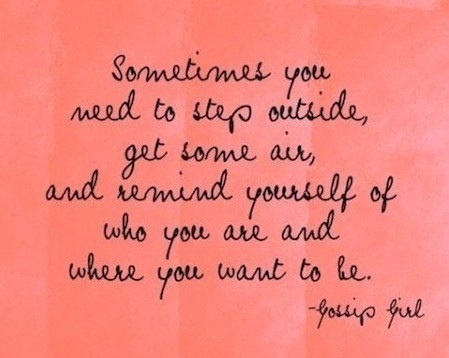 These are the most important times we need to let it go. You cannot change the way people think or their ability to be accountable for what they say and do. 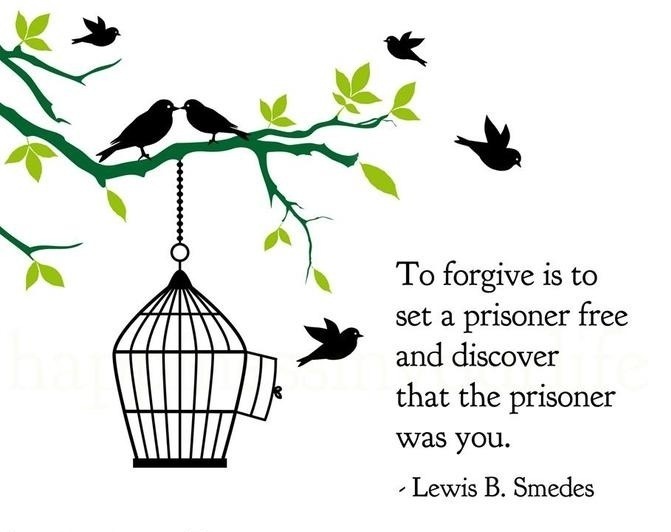 As Smedes says, you need to set the prisoner free… In forgiving at this moment, you’re doing that- for yourself. My stance on forgiveness is this: in times during my life where I have done wrong by others, I’ve learned that it’s always better for both parties when you own up to the wrong you’ve done and clear the air when necessary. This doesn’t mean the person will accept your apology, but at least you will know you’ve done the right thing and can move forward from the situation. Whether you are the one giving or receiving forgiveness, I challenge you to let go; you can’t move forward without doing so.